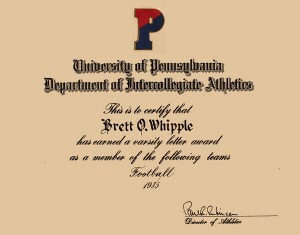 While completing his undergraduate degree at the University of Pennsylvania and graduating from the Wharton School of Business, Bret Whipple was a member of Ivy League Football Championship teams for the years 1984-1985 and 1985-1986. 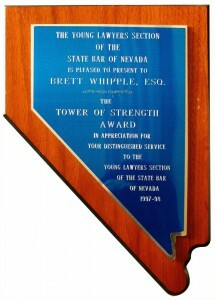 Bret Whipple was the recipient of the State Bar of Nevada Tower of Strength Award for his service from 1997 – 1998. 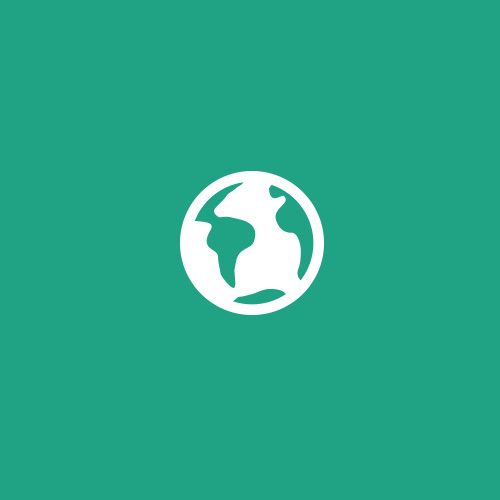 The Young Lawyers Section’s purpose is provide opportunities for the assimilation of young lawyers into the profession as well as a training ground for future leaders of our bar. 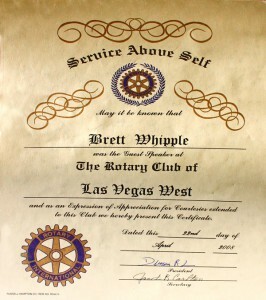 YLS membership is open to all attorneys who have been admitted in Nevada for less than five years, or are 36 years old or younger. 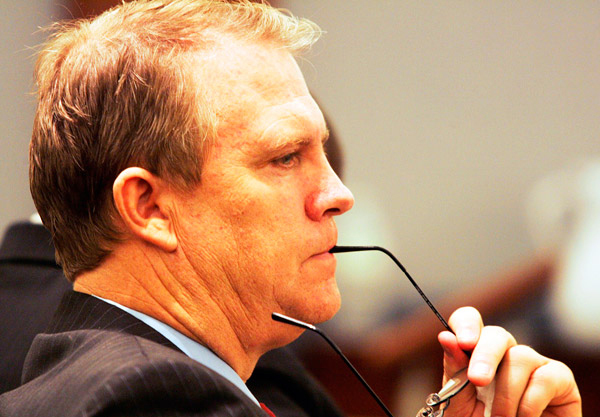 From mentor programs, to organizing charity events, to networking, to fighting to improve the image of attorneys in general, YLS has a wide array of activities. 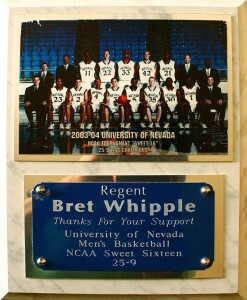 University of Nevada Reno Regent Bret Whipple was honored for his support by the 2003 – 2004 Sweet Sixteen Championship team. 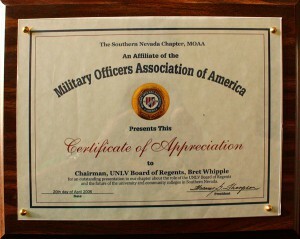 MOAA is the Nation’s largest military officer association. 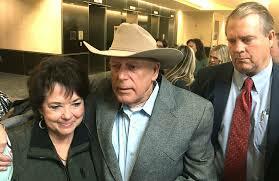 Formed in 1929, it is dedicated to preserving the earned entitlements and benefits of members of the uniformed services and their families, and promoting a strong national defense.